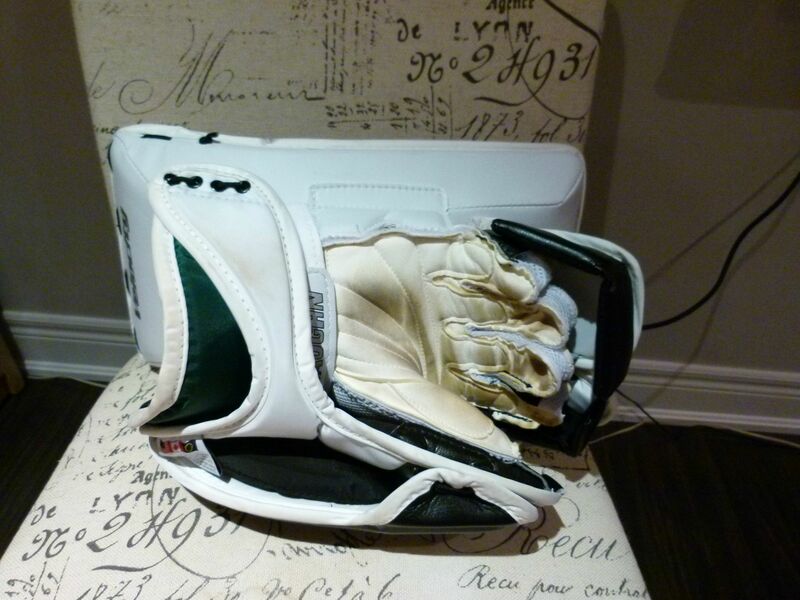 Blocker History: Simmons 994 Blocker, Warrior Messiah Blocker, Smith 6000 Retro Blocker, Reebok Larceny Pro, Simmons 997, Vaughn 7600.I am going to start this with a disclaimer that when I was younger I was very anti-Vaughn. I grew up close to Simmons and young me never understood why anyone would pay so much money for Vaughn equipment when you could get just as good Simmons equipment for the same price. Since I never used Vaughn equipment before this I still had a bit of this biased. My comparison with Simmons is relevant here because the Simmons 997 blocker is a clone of this blocker. 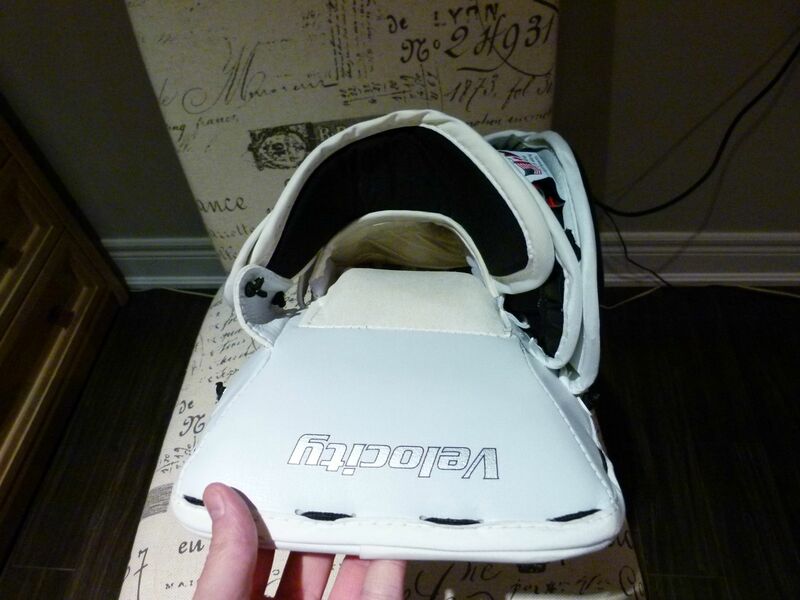 So check out my Simmons blocker review to see how the 2 stack up! Initial Thoughts: Whenever I saw this blocker in store or on goalies I always thought it looked strange and awkward just because it looked so different compared to the blockers I was used to. Immediately upon opening the box this blocker came in I noticed how ridiculously light it is. 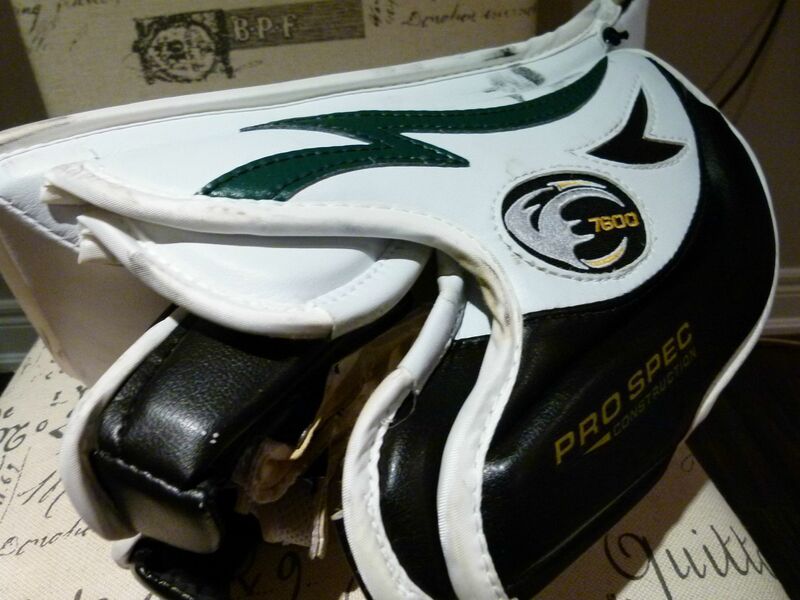 Upon quick inspection I noticed the high quality materials and everything about the glove seemed high end and well made. 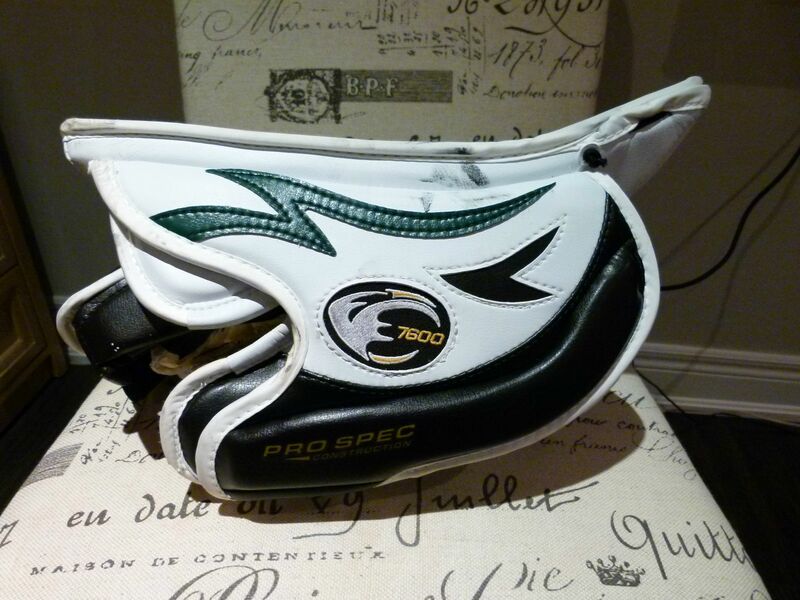 Great sidewall protection and the glove is balanced really well. The finger position on this blocker is lower on the board. Nash palm is super soft and extremely comfortable to be in dry and wet. Nash cushioning pillow on the top of the hand is one of my favourite features. I wish all blockers had this. Keeps your hand snug while adding extra padding. View of the side board pillow. I don’t understand why the nylon seam here is not made of jenpro like it is right next to it. 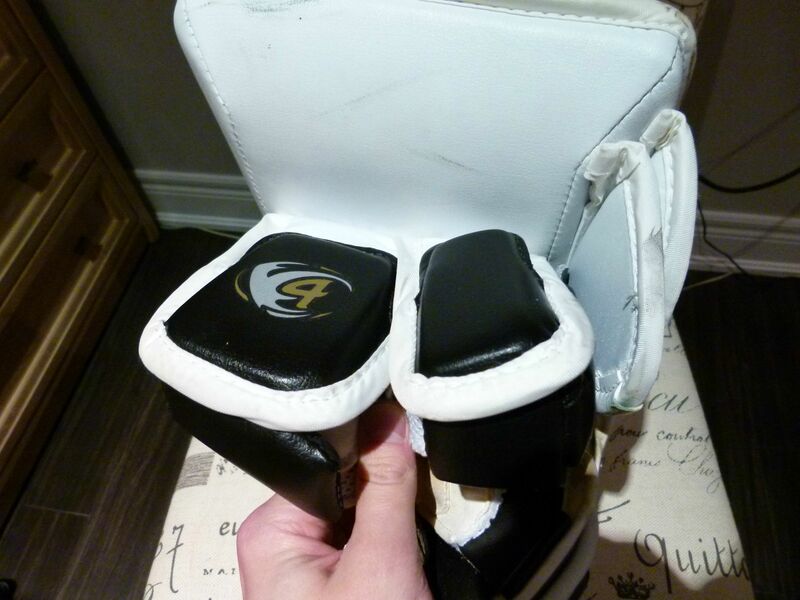 Some of the best finger protection out there. Never hindered movement while being solid and firm. 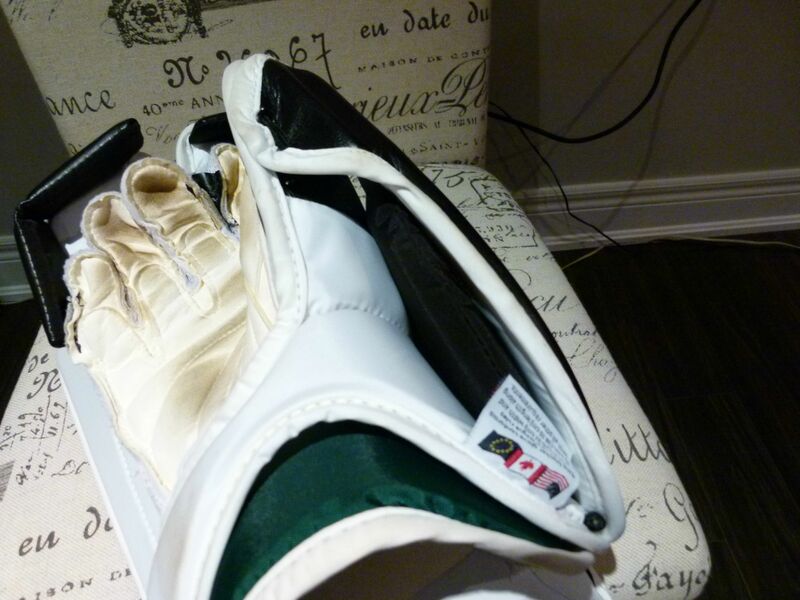 Little details like how the top of the “V4” part is not sewn down so the binding of the index finger can tuck behind it make this glove stand out. Though I’d prefer bindingless fingers or jenpro binding here. Took a hard shot on the index finger with no side effects. Felt it but never hurt. 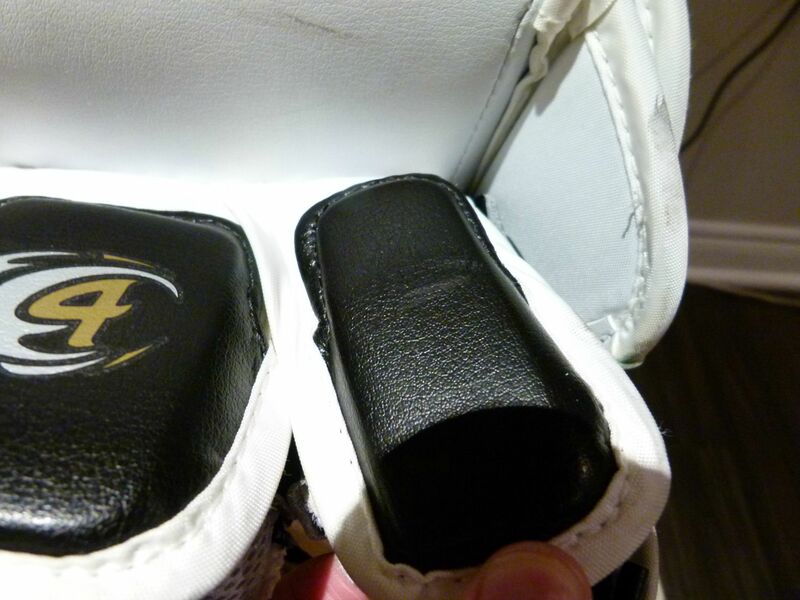 Finger protection is VERY good here with solid and thick foams.